Tucked away into the early hours of Sunday morning for viewers this side of the Atlantic, this may be a game that basketball fans in the UK and Europe overlook, but it will be an important game in deciding who goes through in the top four spots. 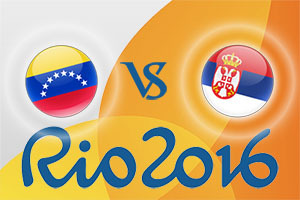 Serbia will fancy themselves within the top four but they know that Venezuela are likely to be the team directly below them in the end-up (if pre-tournament predictions are to be believed), which is leaving many people viewing this as a play-off. If Serbia wins, they can focus on defeating China and then picking up a win in a game against France or Australia to breeze through the qualification process. If Venezuela win, we could have a genuine shoot-out for the final qualification spot for the knock-out stages and things could very interesting in Group A. For the neutral fan, that may be the preferred outcome but both teams have a big reason to start strongly this weekend. Anthony Perez is the only Venezuelan player to enjoy his basketball outside of the domestic league and he is with the Mississippi Rebels in the United States, who play in the NCAA Division I and the Southeastern Conference (SEC). For Serbia, there will be a lot of people looking at Nikola Jokic, who has clocked up a season with the Denver Nuggets in the NBA but there is a lot of experience around Europe in the Serbian side, including Bogdan Bogdanovic, Stefan Jovic, Milan Macvan and Vladimir Stimac, all of whom have impacted on the Euroleague. There is a lot riding on this game but Serbia should be able to get the win they crave. However, it may be tighter than some people think so look to take Venezuela at +20.5, which you can find at odds of 1.90. For the Over/Under market, look to go UNDER 149.5, which is provided at odds of 1.90. Bet Now! This game starts at 0230 BST on Sunday the 7th of August.